1. Place melted chocolate in one bowl and the chopped almonds in a second bowl. 2. 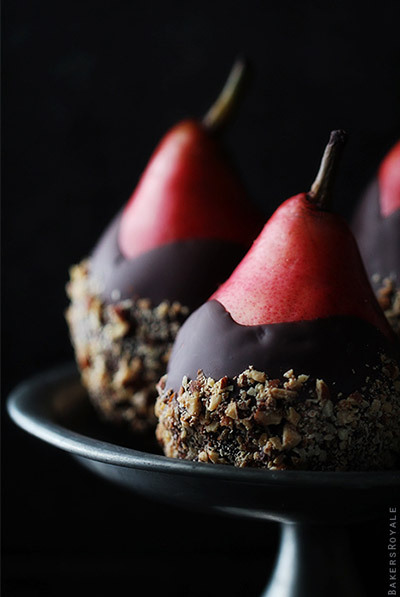 Dip room temperature pears in chocolate then in almonds. 3. Place dipped pears on a cooling rack to set.